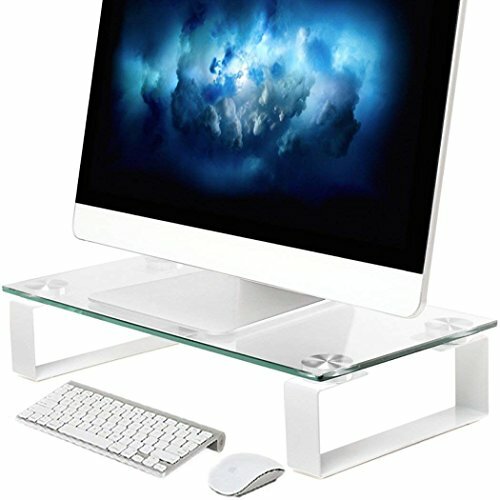 - Compared with other glass stand on the market, the surface of the stand is made of tempered glass, sturdy enough to hold up to 40 lbs. You can put notebooks, glasses and other small office supplies underneath, keeping your desktop tidy and neat. At the same time, it takes up less space compared with other monitor stand. Surface Size: 15.1" x 8.2"
EASY ASSEMBLY - Hardware accessories included. The setup is a piece of cake! If you have any questions about this product by HUANUO, contact us by completing and submitting the form below. If you are looking for a specif part number, please include it with your message.